San Francisco has legalized short-term residential rentals, clearing the way for companies like Airbnb to operate legally in the city—though with a lot of caveats. SFGate covered the board meeting during which the legislation was approved Tuesday. It reported that the new law allows permanent city residents to offer short-term rentals; establishes a city directory of hosts; mandates that hosts collect hotel taxes (as expected); limits entire-home rentals to 90 days per year; requires each listing to carry $500,000 in liability insurance; and establishes jurisdiction and enforcement of the guidelines by the municipality's planning department. Some tougher proposed regulations were not included in the final draft of the legislation: limiting shared rentals, in which the resident is present while rooms are rented out, to 90 days; barring rentals of in-law units; and requiring Airbnb to pay back-taxes. Ultimately, those ideas were rejected. Known as the "Airbnb Law," it will take effect in February 2015. In a statement to SFGate, Airbnb said, “[it] will give regular people the right to share the home in which they live.” Hosts that rent their properties via the site—which was founded in San Francisco six years ago—spoke at public meetings for several weeks leading up to the legislation. Housing advocates, landlords and neighborhood associations spoke out against the law, bringing up concerns that residential rentals were raising prices and threatening security in the area. 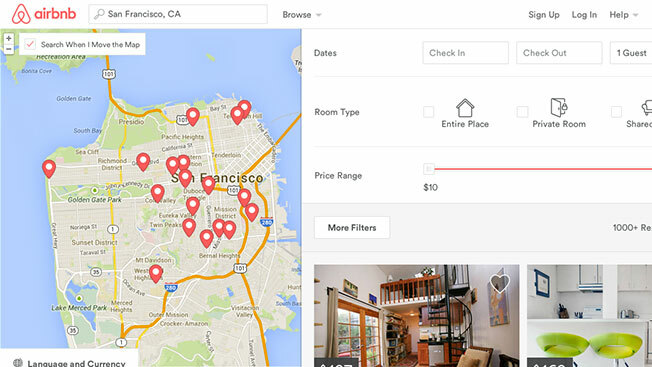 This continues an intriguing year for Airbnb. In September, the company signed agency Starcom to manage its global media strategy, with TBWA\Chiat\Day handling creative efforts. And in May, the company wooed the former svp of integrated marketing communication and design excellence at Coca-Cola, Jonathan Mildenhall, to join the team as chief marketing officer.